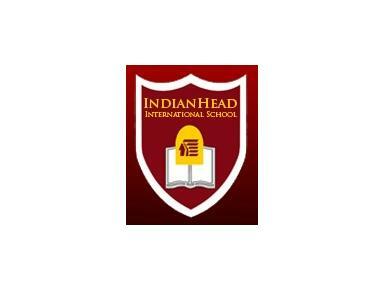 The Indianhead International School community fosters a challenging, creative and caring learning environment that values the unique potential of each learner. Using a rigorous curriculum, aligned with US standards, we facilitate the development of world citizens equipped with the skills and disposition to continue learning and become personally fulfilled, interdependent, productive adults. People are responsible for the decisions they make and the actions they take. People learn best when they are interested in what they are learning. Every person has equal worth and unlimited potential. Everyone benefits when individual talents and abilities are recognized and appreciated. Each student will demonstrate the inquisitiveness and enthusiasm of a critical thinker by continually seeking answers and solutions to problems posed by themselves and others. Each student will demonstrate the joy of learning by continually choosing to engage in acquiring knowledge, skills, and experiences to achieve their goals. Each student will recognize the intrinsic value of contributing to individuals and community by choosing to do so on an ongoing basis. Each student will use our educational program to develop and demonstrate achievement of the expected school-wide learning results (ESLRs).